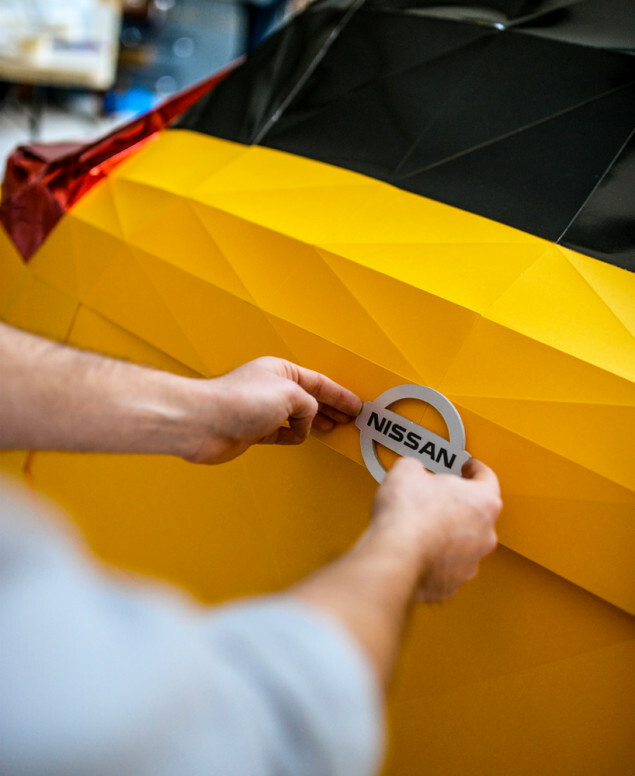 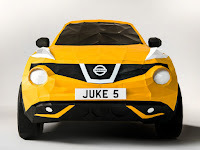 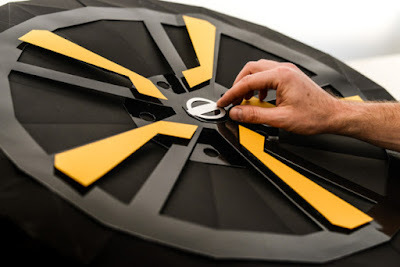 Nissan is not making Joke, when they made a Life size Origami of their most successful and productive car, the Nissan Juke was introduced 5 years ago and was second most popular vehicle in Europe with more than 700,000 models sold. 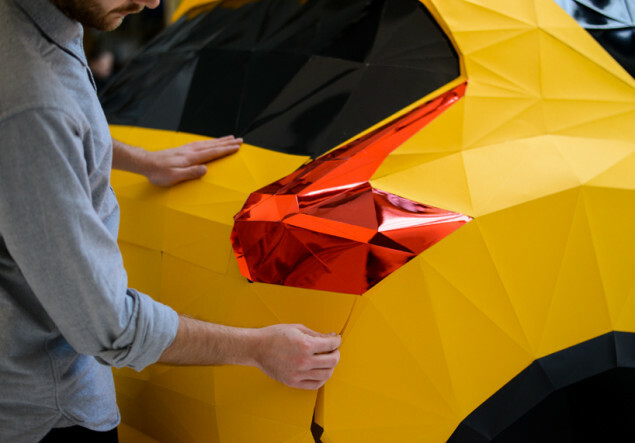 , and to celebrate it's success in car industry artist Owen Gildersleeve and his team spent 200 hours and went through 2,000 sheets of paper to form the model together. 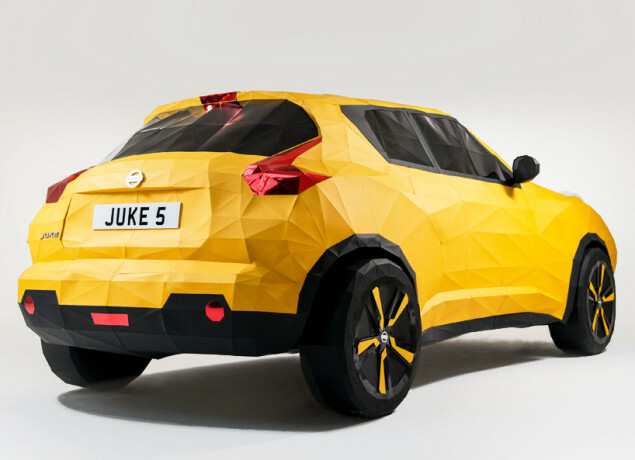 Needless to say that this life size origami is another feat of origami engineering. There is no physical Juke car hidden beneath the papercraft, Gildersleeve has to create a skeletal structure to support the life size origami. The result, is an astonishing origami masterpiece that look like something you would see in a video game or futuristic films- how I wish they could make real one which made with aluminum or carbon fiber. 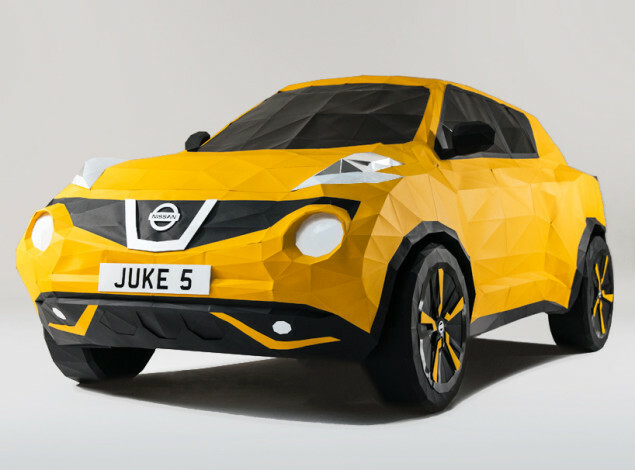 Personally I prefer the wavy designed formed from multifaceted three dimensional angle in the skin of the car. 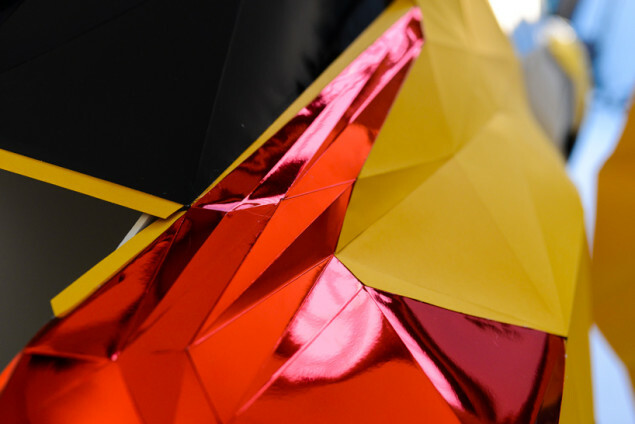 It looks so unique gorgeous. According to Nissan they adopt the used of paper folding from the ancient Japanese art.